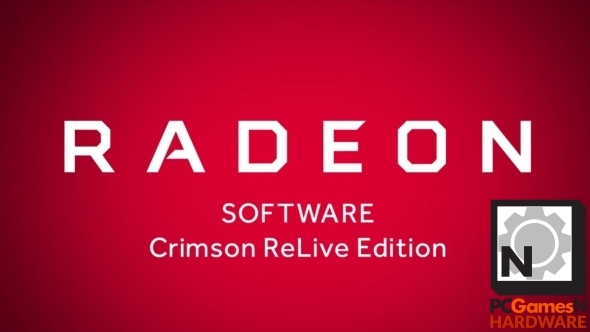 AMD’s graphics team have just released their big yearly software update, Radeon Crimson ReLive, and it’s one feature-packed piece of coded goodness. With GPU performance improvements, supposedly invisible power-saving features and a game capturing tool that’s aiming to be the best out there. But who has the best GPUs, Nvidia or AMD? We’ve got the answers in our guide to the best graphics cards around today. Starting last year, with the original Crimson launch, AMD promised to release a big new software stack every twelve months. The plan was for them to come up with a new shade of on-brand red to complement the new release. I’m guessing Radeon Fuschia, Russet or Vermilion didn’t take their fancy because they’ve stuck with Crimson again, adding the awkward-looking ReLive tag to make it seem fresh. And probably because Radeon Burgundy sounds like a Will Ferrell character. But as clunky as the Crimson ReLive name is it does make sense, because the headline-grabbing feature of this new release is the ReLive game capturing software AMD have now integrated directly into their drivers. It’s an unashamedly ShadowPlay-aping piece of software, but that’s in no way denigrating what AMD have created with the Radeon ReLive application. ShadowPlay has become the easiest way for gamers to quickly and simply record and share their gaming highlights… so long as they’re running GeForce graphics cards. Radeon gamers though have been left with the rather ropey third-party Raptr software which used to come with their GPU drivers. To combat Nvidia’s release of ShadowPlay AMD moved quickly to sign a licensing deal with Raptr to provide a similar service for their users, yet it hasn’t proved popular with many gamers uninstalling Raptr the instant they finished installing their drivers. 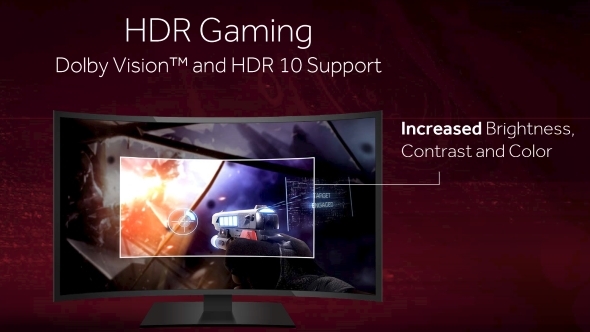 AMD recognised this and started offering the option to not install the software automatically alongside their GPU drivers, before finally removing it from their driver bundle altogether this year. I spoke to an AMD rep at the release of the first Crimson software about Raptr and he assured me that as soon as the contract was up Raptr would be ditched. And so it has come to pass and we find ourselves in the tail end of 2016 with the shining beacon of ReLive to give us a little light in the darkness. 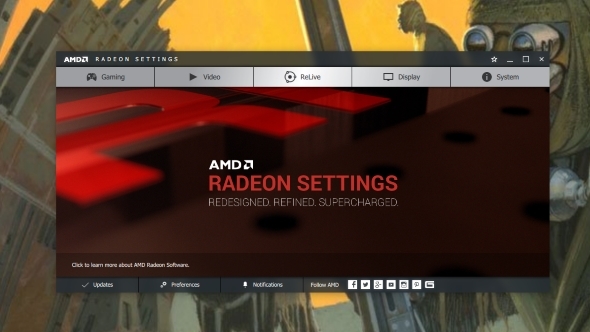 ReLive lives inside of the Radeon Settings app, with its own tab front and centre. From here you can enable the capture tool and configure it to heart’s content. There’s all the functionality you may know from Nvidia’s ShadowPlay, like the ability to select an Instant Replay function so the software is continuously recording what’s happening on-screen in the background, only saving the action when you hit a pre-ordained button combo. You can easily alter how far back the capture goes, from just 15 seconds to a full 20 minutes and a host of steps in between. This obviously takes up extra storage space as it goes, but it calculates how much space it will swallow up given your precise configuration. And those other configurable settings are pretty comprehensive too, with options to switch between AVC and HEVC encoders and 30 or 60fps capture (though we’ll come back to that later…), alter the recording bit rate as well as the audio bit rate and pick your output resolution. ShadowPlay doesn’t give you the option to pick your audio bit rates or your encoder, though it does offer higher bit rate video capture. You can also pick different streaming options too, should you wish to belatedly start your career as the new YouTube/Twitch sensation. 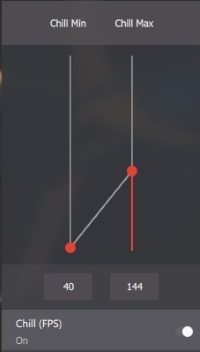 Again there are resolution, frame and bit rate options and in the ‘Overlay’ section you have the option to add logos to your videos or add a face cam stream and position it around the screen. Like ShadowPlay there is also a pop-up toolbar, which you can bring up in-game to access simple settings, start a recording or stream, save a replay or capture an image. It’s a lot less intrusive than Nvidia’s version and a lot prettier too. ReLive on the whole is a lot simpler to use than ShadowPlay’s current setup. 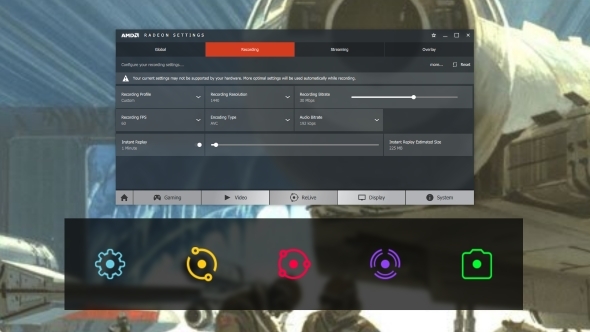 Its options are clearly laid out within the Radeon Settings app, so you don’t have to go hunting high and low for that little option you need to tweak. The most important thing for any game capture tool is to ensure there is as little impact upon gaming performance as possible. You’re always going to get some performance hit when you start layering more concurrent applications on top of each other, but to be usable that has to be almost invisible with capture software. Thankfully AMD looks to have nailed it with ReLive. I tested ReLive with an old six-core Sandy Bridge CPU and a Radeon RX 480 GPU and detected only a barely noticeable dip in performance when ReLive was turned on. 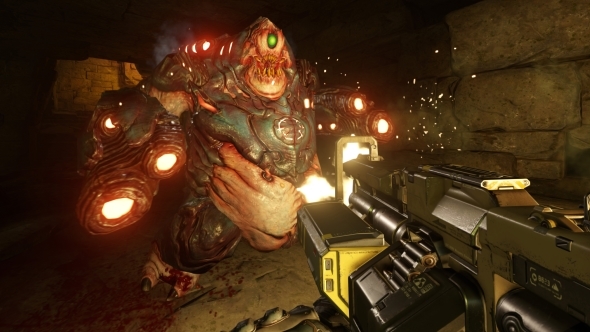 Across 3DMark, GTA V, Hitman, Rise of the Tomb Raider and Doom – mixing DX11, DX12 and Vulkan APIs – I only saw a drop of 1-3% in terms of overall frame rate. There was no noticeable extra juddering I could see in my benchmark runs either. Switching between the encoders though I did detect a difference in the outputted files however. When using the HEVC encoder with my setup there was an obvious jerkiness to the video which didn’t exist in-game. Using the AVC encoder, on the other hand, provided a far more silky smooth video. 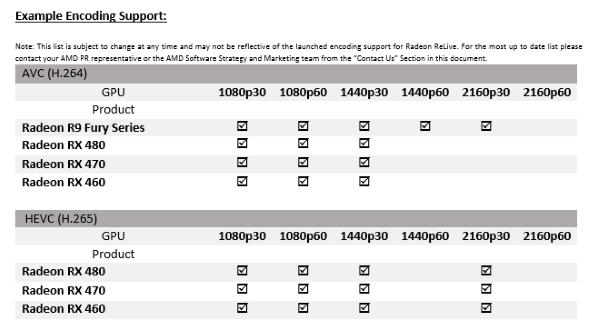 That said using HEVC is the only way to get your RX 480 to output at 1440p and at 60fps – the table below, from the AMD ReLive reviewer’s guide, is already a little out-dated. Unfortunately at the moment the outputted files are mostly limited to 30fps if you step above the 1080p resolution. 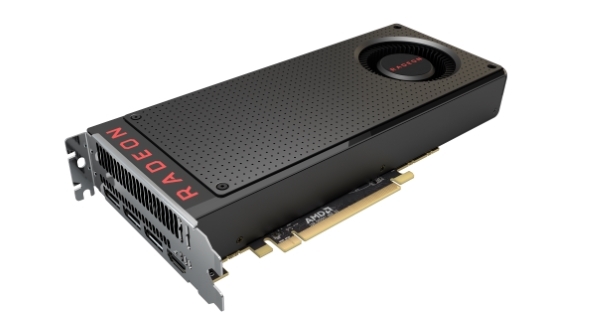 Only the Radeon R9 Fury cards are able to run up to 1440p at 60fps as standard and even they can’t handle 4K at 60fps. In the software though it still gives you the option to set the recording fps at 60, which is a little misleading when you’re trying to set up. This first iteration of the software isn’t without its other foibles either. A couple of times I had to re-enable ReLive to get the toolbar and capture to work again, and the feature to add a brief system info overlay to your captured video seems rather intermittent in its implementation and only works on the instant replay option, not standard recording. The addition of a timer to the ReLive indicator is useful for letting your know how long you’ve been recording for, but unfortunately when it is turned on that gets captured too, as do all the notifications in desktop mode. Having ReLive on also disables some multi-key keyboard shortcuts in other programs, so you’ll need to alter the preset hotkey’s if you get any conflicts, such as the word count in Google Docs and the ReLive camera hotkey. ReLive might be the big new feature, but is not the only thing AMD have introduced with the new software stack. The performance improvements may not be huge but AMD are claiming performance increases of up to 8% since the RX 480 was first launched. That doesn’t sound a lot, but considering that is purely from software improvements it’s not bad. And the software is something AMD is really concentrating on. “We’re treating software as the product, before that it was just an add-on,” Andrej Zdravkovic, AMD’s corporate VP of software, told us at a recent informal meeting. “It shows in everything we do. Software is not only the most important part of the whole system, it’s probably more important than the actual hardware. Radeon Chill is a new power-saving feature for AMD’s graphics cards that aims to keep the same visual performance while dropping both the power draw and the temperature of your GPU. On the face of it Chill seems like an odd choice for a desktop graphics card when power draw is pretty low down on the priority lists for gamers compared with performance. The idea is that it users an algorithmic approach to determining if anything happening on the screen is happening quickly, like sprinting or general John Woo style gunplay. If it is then Chill is ignored and you should be able to game as normal. 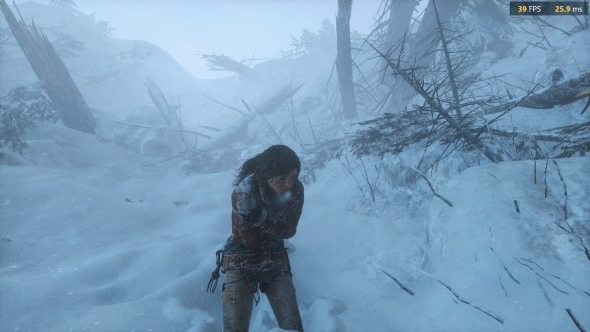 But if the user is standing still and not a lot is happening on-screen then Chill comes into play and drops the frame rate down to save power. As soon as the users starts waving their mouse around the frame rate should instantaneously jump back up again. At the moment it’s only been enabled on a handful of DX11 and DX9 titles. DX12 support is happening, just not yet. I’m also not entirely convinced about its use on a desktop machine, I’ve tested both Deus Ex: Mankind Divided and Rise of the Tomb Raider and there is a quite severe drop in frame rate with Radeon Chill enabled, even when you are moving around and it should be leaving frame rates alone. It did though drop average power draw across our benchmarking tests, but only by around 20W a time, which translates to a drop of 20-30%. Unfortunately the drop in frame rate is a bit more severe and not just in relation to the overall average frame rate. You can mitigate that somewhat by altering the range Chill works to, but it still tends towards the lower end at the moment. There are games where it might work better, however. For eSports-y games, like LoL, or more static strategy games, like Football Manager, where the frame rates can be needlessly high Chill could help bring operating temperature down, though you could always set a comfortable frame rate cap via the drivers anyway. To me though this tech seems far more interesting for laptop gamers looking to squeeze a few more minutes from the generally ropey batteries in most gaming notebooks. Unfortunately there aren’t too many Radeon laptops out there right now that could benefit, though I’m guessing the tech is being brought in for a future where there might be.